What is a UK Regulated Tenancy Agreement? What is a UK regulated tenancy agreement? Learn the important basics here, including regulated fair rent and rent increase. 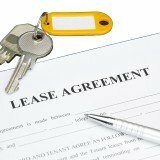 Also known as a protected tenancy, it is a residential lease agreement in the the United Kingdom (England, Northern Ireland, Scotland and Wales) that commenced before 15 January 1989. Its terms and conditions are governed by the Rent Act 1977. Resident landlords are excluded in this case. A regulated tenant is also known as a statutory or sitting tenant. They enjoy special privileges when it comes to security of tenure - A statutory tenant has the right to live on the property for as long as he or she wants. Even after the tenant passes away, the spouse or family member (who has been living with the tenant for at least two years) will inherit the tenancy. Controlled rent is another big feature of this tenancy type. There is a rent ceiling and the landlord can only apply for a rent review every two years. See below for more details. Fair rent is the maximum rent for a property as decided by the rent assessment committee or a rent officer. The rent officer will set the rent amount according to the regulations in the Rent Act 1977. The rent officer will consider the condition and location of the property when deciding on the rent amount. Any furniture, fixtures and appliances provided by the landlord will also influence the rent price. To register for a fair rent, the landlord or tenant can obtain an application from the rent officer who will make arrangements to come over and inspect the property. Once the officer has decided on the rent amount, he or she will inform both parties of the results by mailing them copies of the rent register sheet. If either party is unhappy with the registered rent amount, they can appeal to the rent assessment committee. The committee then decide if the rent amount should be changed. All decisions by the committee are final. If the landlord wishes to apply for a regulated tenancy rent increase, he or she can request for a rent review (if at least two years have passed after the last rent registration). If the landlord has made major home improvements or the tenant agrees to it, then a rent review can be conducted before the two year deadline.